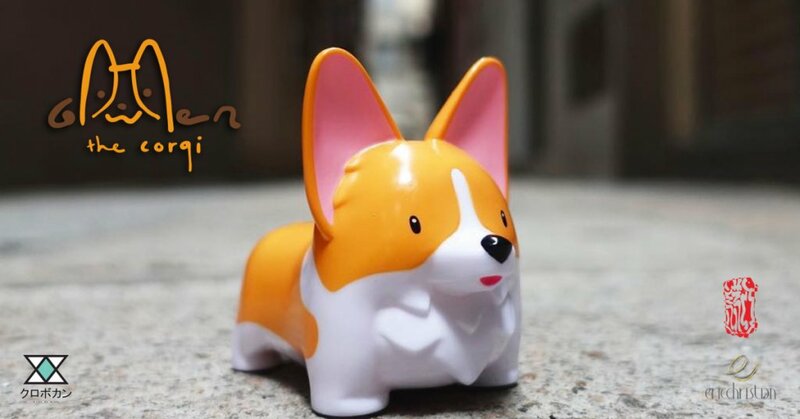 Last year we saw the debut of Eric Noah’s long-awaited Gwen the Corgi soft vinyl figure powered by Kurobokan. Today Kurobokan have announced 2 editions that will get collectors on their knees as the long awaited Original edition finally gets the release. Not just the OG release but to add some pop to your life/collection a Pink Soda edition will join the release. Another adorable adaptation of Eric’s Gwen the Corgi from resin to vinyl. With the success of Eric’s resin versions of Gwen the Corgi and seeing the upcoming version of Gewn soft vinyl they will be another heart winning formula for sure, puppy power! For those heading Thailand Toy Expo 2018 will be the first two give these two a new home! For the rest of us, we will have to wait for the online release. Check out the upcoming versions of Gwen the Corgi below and Eric LIVE sketching.